BUY for $470,000 OR RENT it for only $2,000 a month. Spacious 2 bedroom is located on an elevated courtyard & features a large & very private hedged outdoor PATIO & windows in 3 directions. You'll appreciated the open kitchen with ample cupboards & counter space, newer black appliances & clean white cupboards. IN-SUITE LAUNDRY!!! This charming suite has an appealing layout & has been renovated with warm paint tones & bamboo flooring. 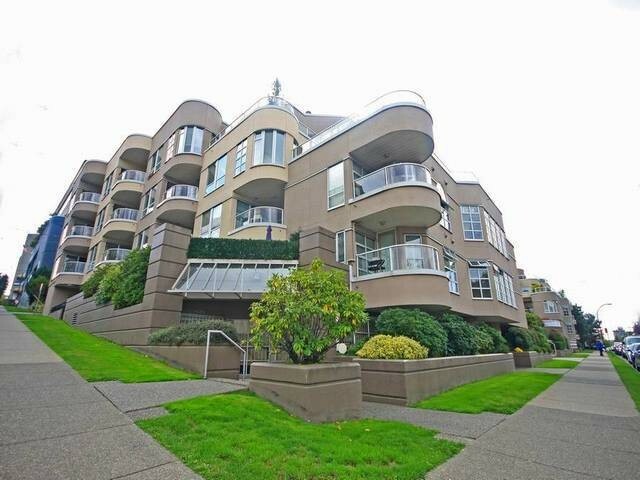 Located within easy walking distance of shops on Broadway & Granville, Granville Island Market & Charlestone Park. This home offers both great space & lifestyle options. The building has gym & sauna & one parking stall included.